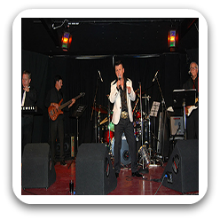 Melbourne Band 232 are a 5 piece band consisting of lead guitar, bass guitar, keyboards, drums & our lead vocalist. Melbourne Band 232 has been entertaining people for many years. We are a rock band with the difference, anything from the 50’s rock n roll to country rock and love songs we have modernized some arrangements to give some songs a better feel. We play the songs you know and like to dance to. Covers from artists: Dean Martin, Dion Ricky Nelson, Chuck Berry, Dwight Yaokam, The Mavericks, Johnny O’keefe just to mention a few.